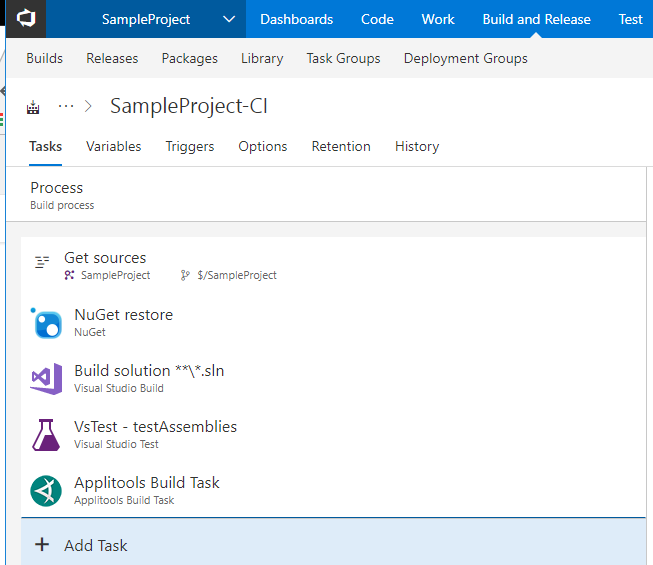 This document describes how you can run a test that implements Applitools Eyes visual UI testing from within the build environment, and then see the results in the Azure DevOps Build result window. 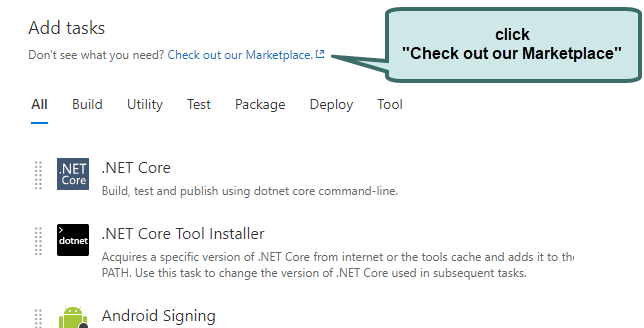 The article assumes that you already have Azure DevOps installed on your system and that you know how to use it. 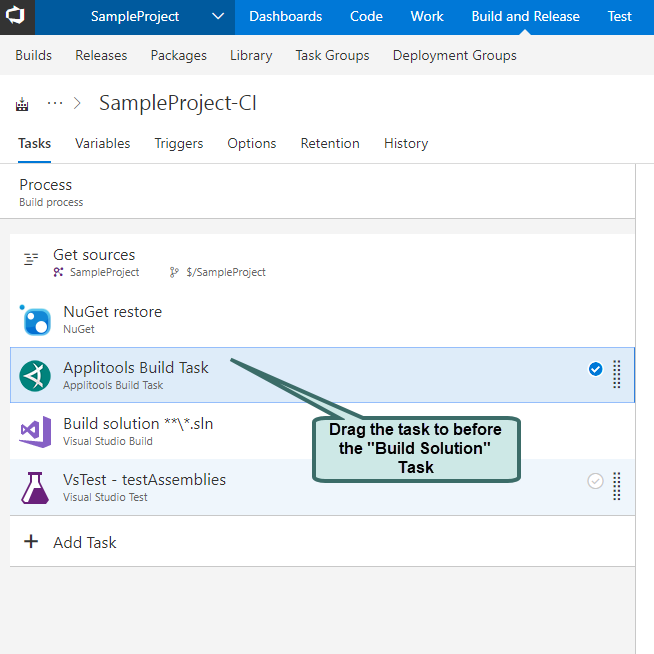 Note that depending on your version of Azure DevOps, some of the steps or screenshots described here may be slightly different. Each of these is described in the sections that follow. 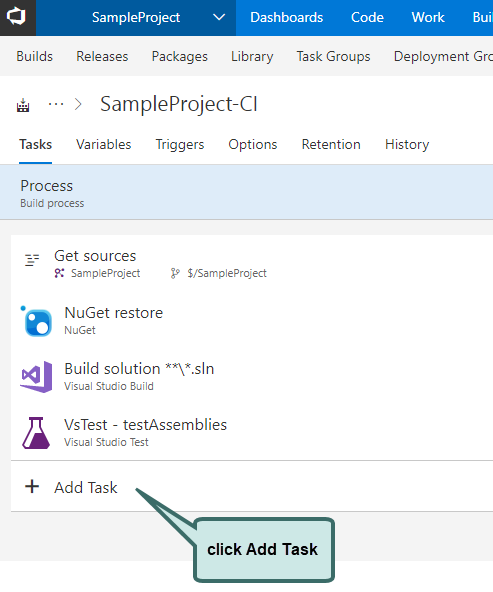 The batch name defined by the Eyes Extension is composed of the project name and the build definition name as defined in the Azure DevOps environment. Note that the extension uses environment variables in two different ways. 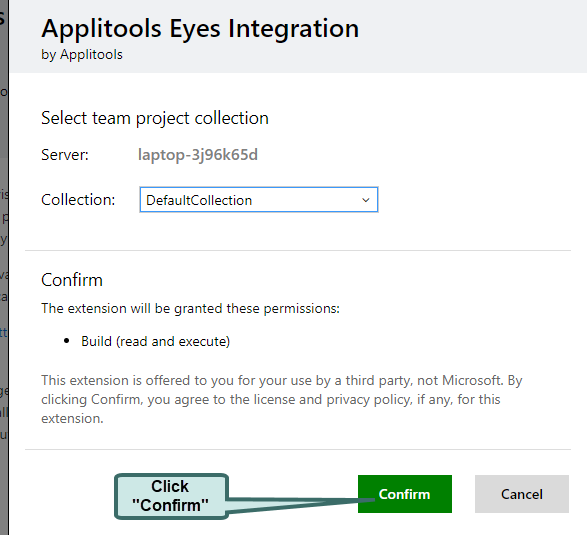 APPLITOOLS_API_KEY is an environment variable that you need to define in your operating system or in Azure DevOps, as explained in the next section. 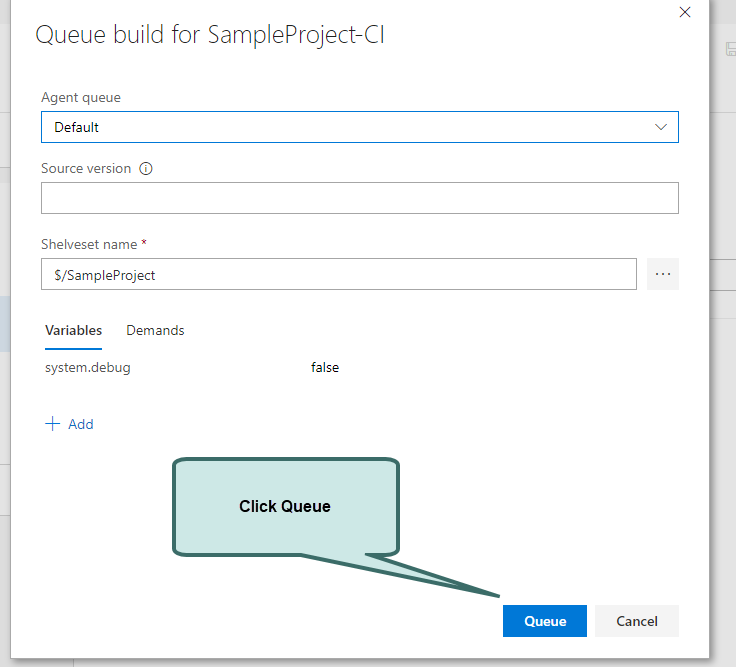 The environment variables APPLITOOLS_BATCH_NAME and APPLITOOLS_BATCH_ID are defined and set by the Eyes SDK Azure DevOps extension; you should not define these variables in your operating system. On the "Builds and Release" page, "Builds" tab select your build by clicking on it. In the left input field type the name of the environmental variable APPLITOOLS_API_KEY, and in the right field type your API key. To obtain your API key see How to obtain your API key. Click on save, and in the Dialog that opens add a comment and click Save. Add the Applitools Eyes build task. 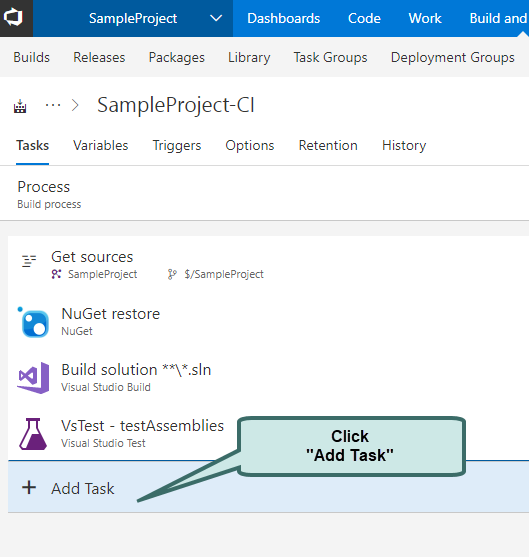 In Azure DevOps, click on the "Build and Release" tab, then click on the build definition to which you want to add the Eyes task. 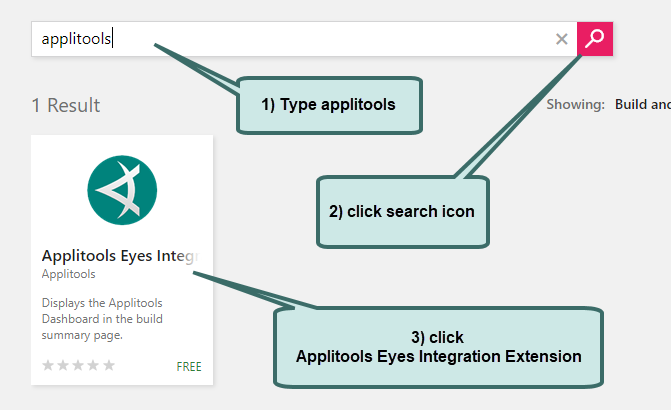 Type "applitools", click the search icon and you should see the Applitools Eyes Integration Extension. 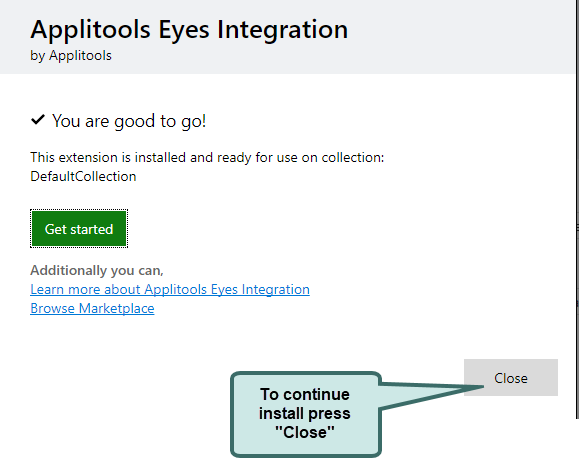 Click on the Applitools Eyes Integration Extension. In the search box start typing applitools, when the Applitools Build Task appears, put your cursor over it until the "Add" button is displayed and then click it. Click the "Queue" button on the popup. 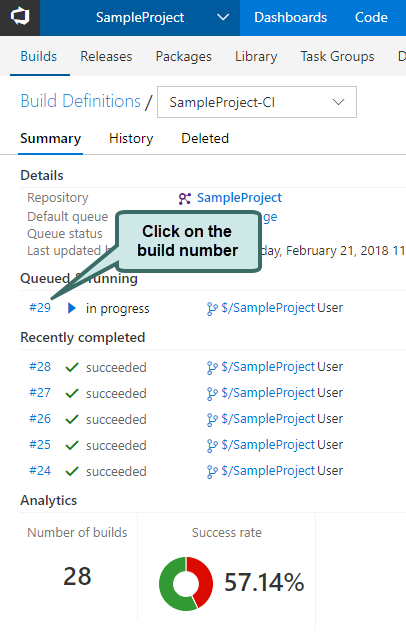 Click on the build number of the current job. This will bring up the Azure DevOps Build results window. Click the Applitools tab, and then, when the test is complete, you will see the main panel of the Applitools Test manager with the results of the current build loaded. 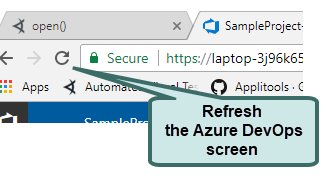 If you click the button, the display will return to Azure DevOps. If you click the Applitools logo, the display will show the main Test Manager panel where you can see all the runs.